While exploring an ancient Egyptian tomb, Mike discovers a strange sarcophagus containing human remains. Much to his shock, the body very closely resembles him. Mike has called you to come help him investigate this bizarre find. 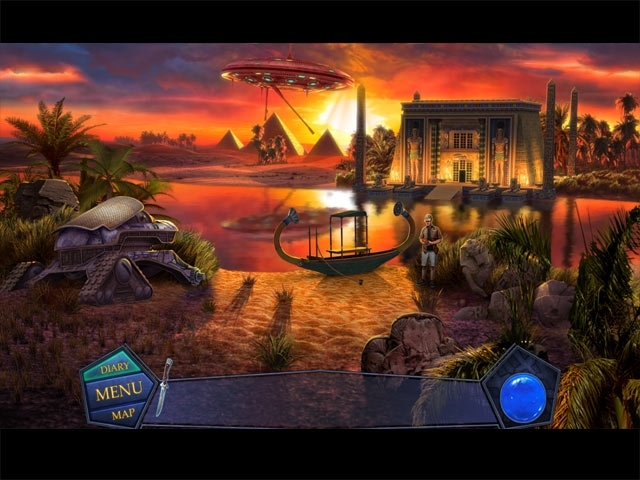 After digging a little deeper, the two explorers find themselves trapped, but they also discover something resembling a large machine in one of the Egyptian tombs. Mike, believing it to be an ancient time machine, believes you can use it to escape. After climbing inside, the real adventures begin. 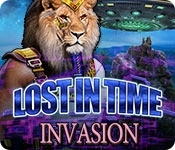 Enjoy Invasion: Lost in Time and find yourself in Ancient Egypt, visit a caveman, set foot on the mysterious planets Shukaras and Torion. After discovering a sinister invasion plan, will you be able to stop it and return home safely? Only time will tell.